The Engaged Listening Project (2018-21) focuses on the conditions under which we (as teachers, scholars, students, and citizens) listen to one another. Real listening is morally and psychologically demanding. It requires that we look beyond our own interests, considering the voices and perspectives of others in order to explore other ways of thinking and knowing. An understanding of the values and priorities of others – one outcome of listening – is important for ethnographic research, political mobilization, volunteering, and running a lab. Listening is necessary for our educational project and may be a useful tool in the toolbox of civic skills. The EL Project is supported by a three-year grant from the Andrew W. Mellon Foundation. In the first year, we are working on one curricular and one co-curricular project. First, we are launching a faculty fellows program to provide training in facilitating productive disagreements in the classroom. 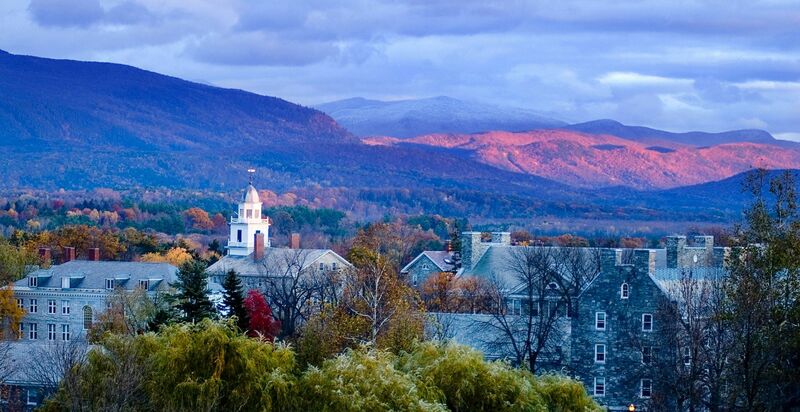 Second, we are working in partnership with the Vermont Humanities Council to develop and experiment with a new format for visiting speakers that enables more robust audience engagement with speakers and with one another.